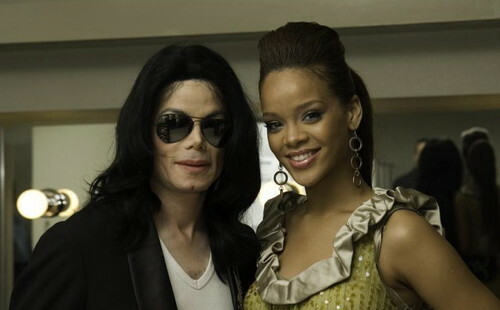 Michael Jackson and rihanna in 2007 jepang World musik Award. . HD Wallpaper and background images in the michael jackson club tagged: photo. This michael jackson fan art might contain kacamata hitam, nuansa, and warna.